Mennel Expands Milling Family to Include Keynes Brothers Inc. The Mennel Milling Company has entered into a tentative agreement with Keynes Brothers Inc. to acquire the Logan, Ohio based company. The transfer of ownership and operation of Keynes Brothers’ assets is slated to become final May 22, 2018. As part of the merger, Mennel will expand its footprint in southern Ohio with the addition of a flour mill in Logan, OH; and three country elevators in Atlanta, OH, Jeffersonville, OH and Radnor, OH; with a fourth elevator to become part of Mennel’s Valley Grain elevator in Kingston, OH. The deal also includes much of the company’s transportation division. Like Mennel, Keynes Brothers Inc. is comprised of five generations of family leadership as well as more than a century’s worth of flour milling experience. Together, Mennel plans to expand flour production and improve access to high-quality products for their customers. Mennel is working with Keynes to hire members of their team to fill approximately 50 area positions. To learn more about Mennel, visit mennel.com. The Mennel Milling Company is a progressive company with a rich history. 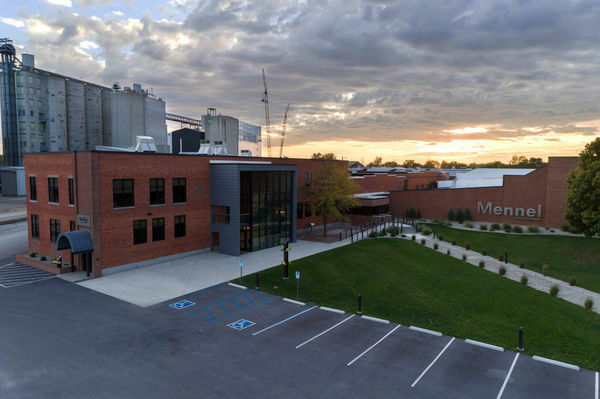 With over 130 years of experience in the flour milling industry, Mennel has grown to include other strategic business ventures including over 20 sites in 6 states. This growth has been guided by the vision and leadership of the Mennel family, now in its fifth generation, as well as the hearts and hands of over 500 dedicated employees. Today, Mennel consists of 5 state-of-the-art ﬂour mills; 10 country grain elevators; 2 trucking companies; 2 bakery mix facilities; a popcorn plant; among other businesses.